James Beard. Photo by Dan Wynn. On Wednesday, March 14, 2018, the Foundation will announce the final nominees for all Award categories during a press conference at Parc, hosted by James Beard Award–winning restaurateur Stephen Starr, in Philadelphia. The event will take place at 9:30 A.M. EST and will be streamed live online (details coming soon on the JBF website) and live-Tweeted via the James Beard Foundation Twitter feed at twitter.com/beardfoundation. The James Beard Foundation holds an online open call for entries beginning in mid-October of each year. This year, more than 20,000 entries were received, a list which the Restaurant and Chef Committee reviews to determine eligibility and regional representation. Based on the results and eligibility requirements for each award, the committee then produces a nominating ballot that lists the semifinalists in each of the 21 Restaurant and Chef Award categories. The list of semifinalists is then sent to an independent volunteer panel of more than 600 judges from across the country. This panel, which comprises leading regional restaurant critics, food and wine editors, culinary educators, and past James Beard Foundation Restaurant and Chef Award winners, votes on specific award categories to determine the final five nominees in each category. The same judges then vote on these five nominees to select the winners. Tabulations to determine the nominees and winners are done by independent auditors, Lutz & Carr. The governing Awards Committee, board of trustees, and staff of the James Beard Foundation do not vote, and the results are kept confidential until the presentation of winners in May. 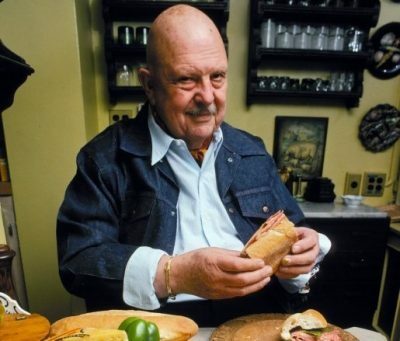 Awards policies and procedures can be reviewed on the James Beard site at jamesbeard.org/awards/policies . The James Beard Foundation Awards Gala will be held at the Lyric Opera of Chicago on Monday, May 7, 2018. During the event, which is open to the public, awards for the Restaurant and Chef and Restaurant Design categories will be handed out, along with special achievement awards Humanitarian of the Year, Lifetime Achievement, Design Icon, Who’s Who of Food and Beverage in America, and America’s Classics. A gala reception, featuring acclaimed chefs and beverage professionals from across the country, will immediately follow. 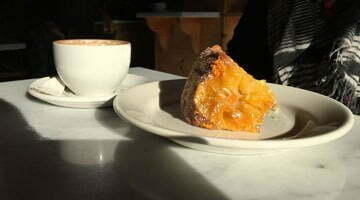 Alison Pray, Standard Baking Co.
Category: Portland Food and Restaurant News and Discussion. Related posts about Cafe Castagna, Castagna Restaurant, Clyde Common Restaurant, Han Oak Restaurant, Hat Yai Restaurant, LangBaan Restaurant, Le Pigeon Restaurant, Mae Restaurant, Paadee Restaurant, Trifecta Tavern. More about Earl Ninsom, Gabriel Rucker, Ken Forkish, Kristen Murray, Maya Lovelace, Monique Siu, Peter Cho. I can’t believe Sarah Pilner at Aviary was not nominated.